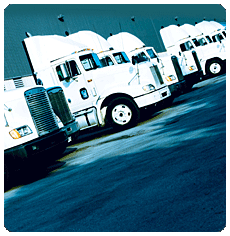 The FreightDATA Manifesting module provides multiple manifesting capabilities. Outbound manifests can be generated for local, line haul and full loads to accommodate your needs. Manifests for local pickups and inbound terminal freight allow your dispatcher an early view of the next days work. The ability to enter and print several different types of manifests is the key feature of the manifest module. The line haul loading manifest's information includes carrier, load date, destination, tractor number, trailer number, seal number, and interline SCAC code. When entering the freight bills, provision is made to assign one or more bills as direct drop bills, for which the line driver will receive a split. The full load manifest provides the same information as the line haul manifest, with the exception that the number of miles, rate per mile, and cost are figured for the load. Local manifesting is accomplished by entering the terminal code, driver name, and vehicle, followed by a list of the freight bill numbers loaded on the truck. The manifest is printed in multiple copies, one for dispatch showing the charges and any carrier split, and a user requested number of copies for the driver, with spaces for times in and out, trailer and seal numbers, and odometer readings. Shipper, consignee, destination city, pieces and weight are supplied by the system. Giving your dispatcher a look to the future is provided with the inbound and pickup manifests. Showing F/B number, shipper, consignee, destination, pieces, weight, and revenue, these manifests allow your dispatcher to begin pre-planning the next days work.